Choice Moving Company is proud to be a leading provider of moving services throughout Fort Collins. Our moving crew consists of well trained, hardworking team members who are dedicated to taking the stress out of your move. Moving homes can be stressful. Whether you’re upgrading to a bigger home to make room for an expanding family or you’re downsizing to make life a little more simple, our professional movers can help make your moving experience one you won’t remember. That’s just how stress-free it will be. Don’t go through the hassle of buying boxes, tape, markers, and bubble wrap if you don’t have to. At Choice Moving Company, we understand how overwhelming moving can be, which is why our number one goal is to make you feel like you’re not moving at all. We know how to properly pack and store your belongings so they are safe and protected en route to your new destination. Not a fan of carrying boxes and large pieces of furniture? Don’t worry, we are! Instead of offering your friends pizza to help you move that enormous entertainment center, let our crew handle all of the heavy lifting for you. Our professionals are extremely efficient when it comes to packing and transporting your personal belongings, and we pride ourselves on providing Fort Collins residents with prompt and professional moving services. Don’t let an upcoming office move make your team less productive. 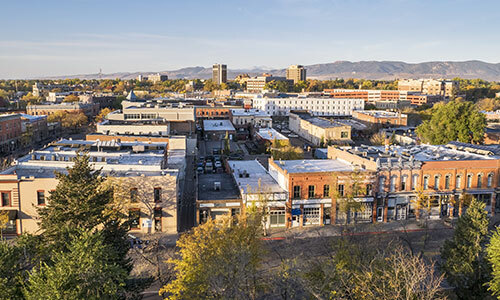 Choice Moving Company is proud to offer Fort Collins business owners our commercial moving services. We’ll make your office transition as smooth and seamless as possible. Our movers are trained in the best ways to pack high-tech equipment like computers, fax machines, copy machines, and other electronics, so you can rest assured your business essentials are safe in our hands.